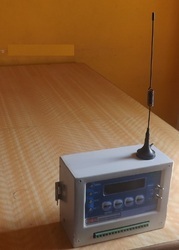 Leading Manufacturer of mobile starter, wireless mobile starter, gsm mobile controller, mobile preventer, cell phone preventer and gsm mobile starter from Coimbatore. 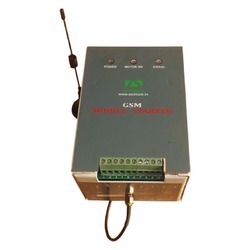 We are the leading manufacturer and supplier of exclusive array of GSM MOBILE CONTROLLER. The entire range of cell phone preventer is developed from the quality assured material and ultra-modern techniques as per the norms of industry. 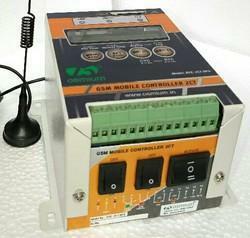 Offered GSM MOBILE CONTROLLER is checked on numerous parameters of quality in order to supply a faultless range. 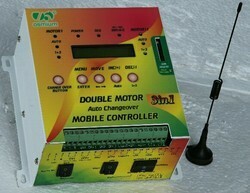 This cell phone preventer is available in either mobile on wheel or fixed to the wall. Our organization is known in the industry for providing Mobile Preventer. These mobile preventers provide the safety to your motors and to monitoring to your motor for any time any place from the world. Also, we provide these mobile preventers on different specifications to meet the frequent needs of our esteemed clientele. Customers can avail these mobile preventers from us at industry leading price within promised time frame. 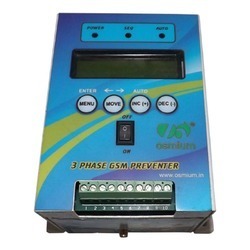 We are the leading manufacturer and supplier of exclusive array of Cell Phone Preventer. The entire range of cell phone preventer is developed from the quality assured material and ultra-modern techniques as per the norms of industry. Offered cell phone preventer is checked on numerous parameters of quality in order to supply a faultless range. 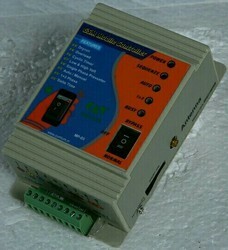 This cell phone preventer is available in either mobile on wheel or fixed to the wall.